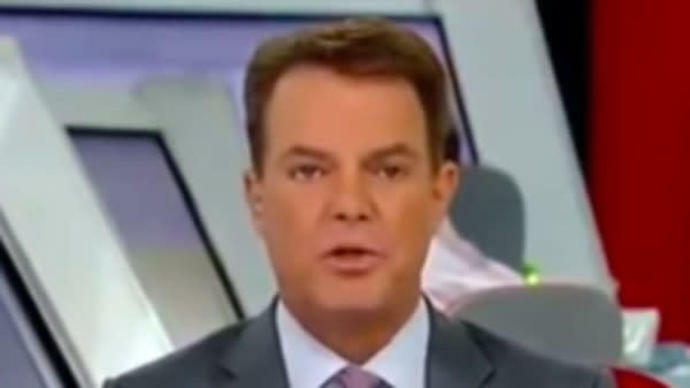 Fox News host Shepard Smith dismissed President Donald Trump's theory that "rogue killers" could be responsible for the disappearance of Washington Post contributor Jamal Khashoggi. Khashoggi vanished early this month after entering Saudi Arabia's consulate in Istanbul. Turkish officials say he was interrogated, tortured, murdered and dismembered inside the building by order of Saudi leaders. Smith said Monday on "Shepard Smith Reporting" that Trump's theory appears to "give cover to the Saudis." He added: "The president did not elaborate on why he said 'rogue killers maybe.' Fox News knows of no intelligence and no evidence to back up that statement. And nobody besides the president has made that assertion to our knowledge." Trump floated his idea shortly after speaking by phone with Saudi Arabia's King Salman earlier in the day, and he indicated that the king may have hinted at rogue killers. He "denies any knowledge of what took place with regard to, as he said, his 'Saudi Arabian citizen,'" Trump told reporters on the White House lawn. "He firmly denied that." Trump added, referring to the king: "He didn't really know. I don't want to get into his mind, but it sounded to me like maybe these could have been rogue killers. Who knows?" Trump's rogue killers idea, which could apparently give Saudi officials a pass in Khashoggi's disappearance, may turn out to be awkward for the president. CNN was reporting that Saudi government leaders were planning to admit that Khashoggi was killed during an interrogation that went wrong. Trump has been slow to condemn the Saudis over Khashoggi's disappearance. He has had private business dealings with the Saudis over decades. Son-in-law and senior White House adviser Jared Kushner is also "famously close" to Saudi Crown Prince Mohammad bin Salman, said Smith. Check out Smith's discussion of Khashoggi's disappearance and Trump's "cover" for the Saudis. That section begins on the tape at 17:20.